Both the guitarist, Joe Driscoll and the kora master Sekou Kouyate have composed a good number of works before. Now they have done much more on their second album on Cumbancha, Monistic Theory. This CD sets its departure point from the belief in the oneness of human beings. It sounds lofty and is likely to leave some listeners smirking during these cynical days of political fear mongering, especially with presidential campaigning in the US and the burgeoning refugee situation in Europe. Even if Joe Driscoll and Sekou Kouyate had not planned to release their record to capitalise on this state of affairs its relevance is absolutely timely. The beauty of the music should not be lost in the mêlée of it all. 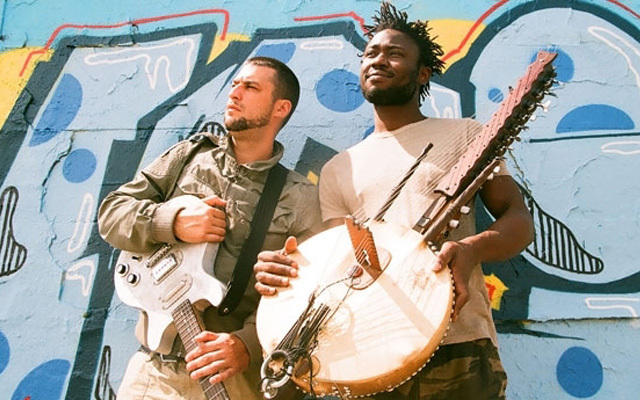 As can be heard on this winning disc of 10 songs, both Joe Driscoll and Sekou Kouyate are first-rate craftsmen, who know each other’s genres intimately. Joe Driscoll is an accomplished guitarist and vocalist who can sing songs, rap poetry and create cogent instrumental and vocal dramas. Sekou Kouyate is one of the leading exponents of the 25-string African harp, the kora. His singing can melt the hardest heart and stir the stillness of the soul. All of their songs are relatively short – the longest is 4mins 34sec. However, each piece contains volumes of content – arresting thematic material, vigorous rhythmic ideas – within its brief span while never sounding short-winded. Their style is so broad that it cannot be summed up in a word, a phrase, or even a sentence. The harmonic language is largely tonal, with the frequent presence of pungent hip-hop and rap, as lines layer and criss-cross. 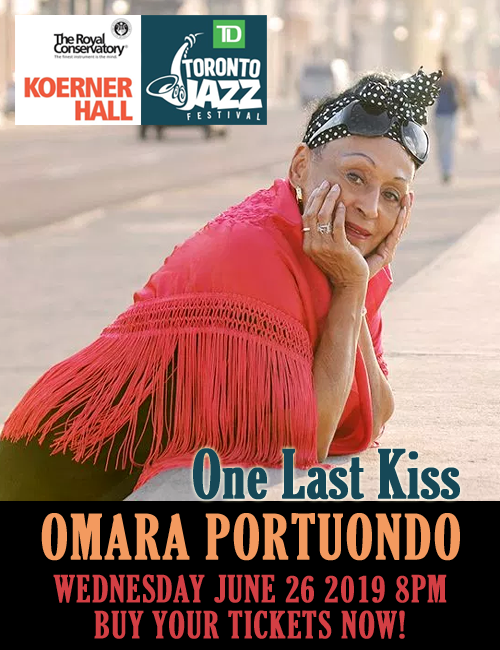 The music leans towards seriousness and deeply brooding lyricism, the latter most affectingly present in the many beautiful melodies that meld Western and African contemporary and traditional musical modes. A welcome and broad hint of folk arrives regularly, especially in ‘Tokira,’ ‘Wama’ and Kouyate’s other compositions. Whatever the kora and vocal specialist writes as well as what Joe Driscoll does the unfolding of musical events engages the often and speaks in a warm voice. 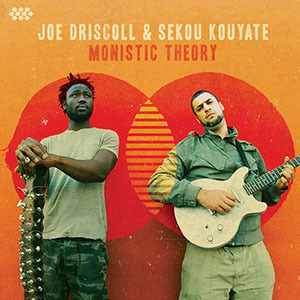 Both Sekou Kouyate and Joe Driscoll continue to live up to their reputation for gentle iconoclasm on this album. The rest of the group play the music with potent attack, flexibility and poetic ardour, giving full life to the varied moods and intricate gestures. This is a great follow-up to the duo’s previous recording Faya. Track List: Tamala; Just Live; Tokira; Monistic Theory; Batafa; Barra; Rising Tide; Wama; Badiya; Master Blaster (Live). Personnel: Joe Driscoll: guitar, vocals; Sekou Kouyate: kora, vocals; John Railton: bass; James Breen: drums; Tim Short: percussion.